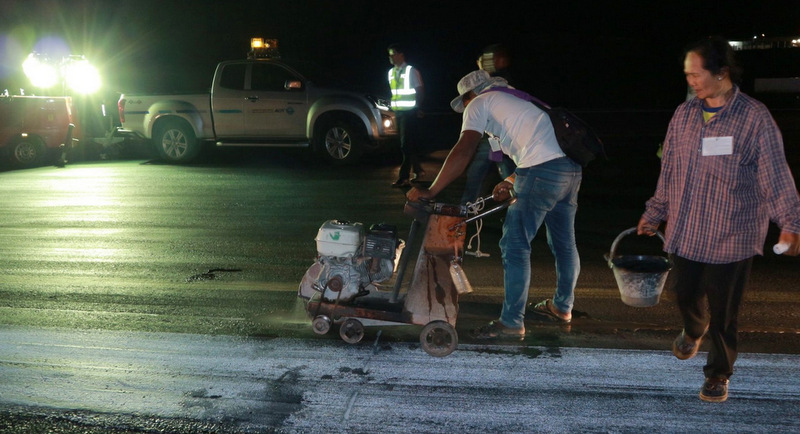 PHUKET: Repairs to the runway at Phuket International Airport will affect a total of 75 flights today and tomorrow (Feb 26-27), officials have reported. Flights were suspended from 2am to 7am today and will be suspended from 2am to 7am again tomorrow while the repairs are carried out. 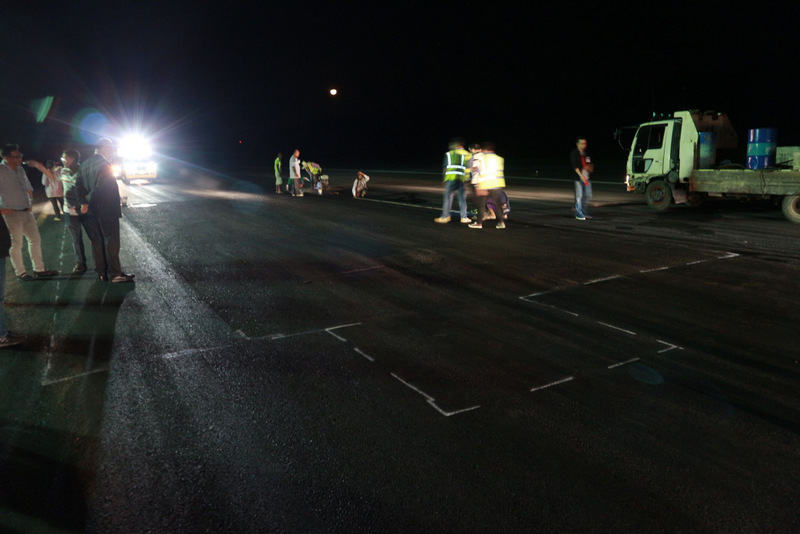 Although officials avoided saying the repairs were “urgent” or “critical”, the move to close the runway was announced at a meeting only yesterday evening, just hours before the runway was closed. 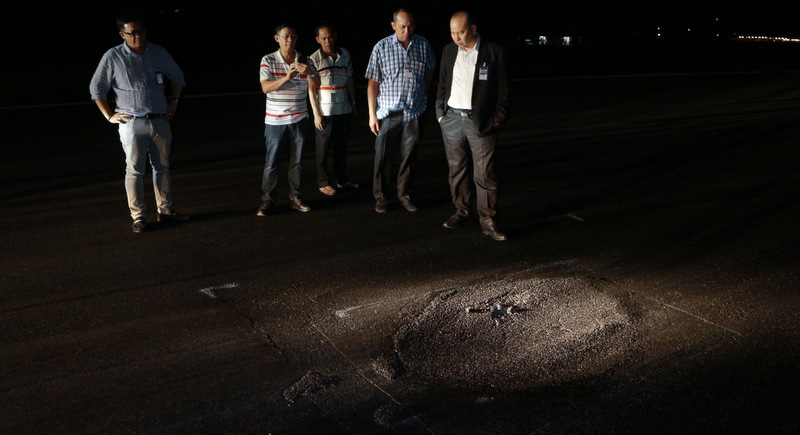 Phet Chancharoen, General Manager of Phuket International Airport, reported that cracks were found at the head of the runway and an area where a taxiway connects to the landing strip. 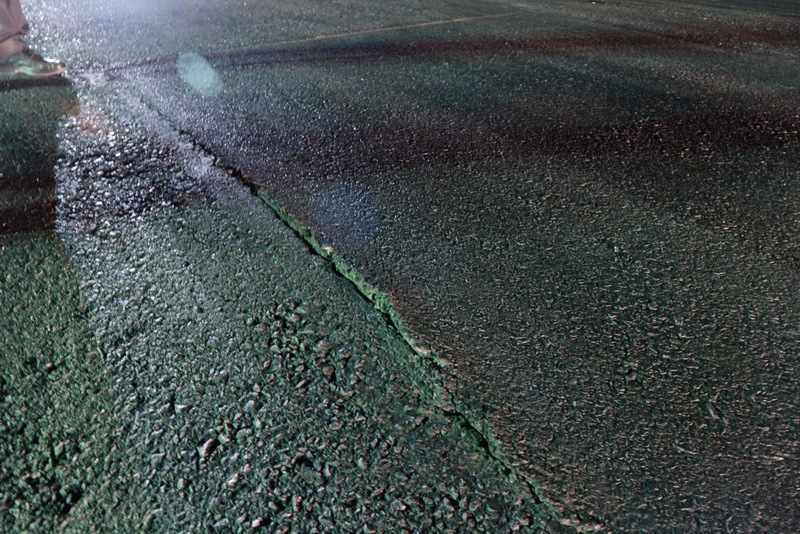 The cracks were caused by wear and tear during the high season, Mr Phet said. The runway was closed as “general precaution” and the cracks were not seen as posing any immediate danger to aircraft operations at the airport, he added. 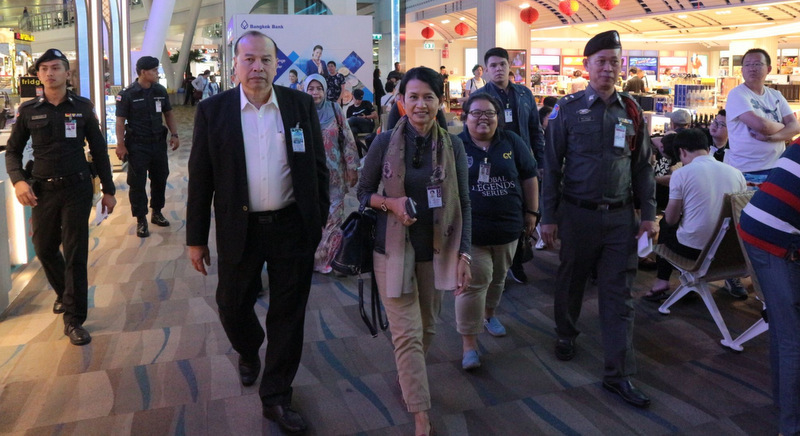 Airlines were notified in advance and should have modified their schedules accordingly and a contingency plan was also in place to handle any resulting passenger congestion at the airport, said Mr Phet. “The airport has asked the contractor to mobilise resources and keep the impact down to a minimum. We apologise for the inconvenience and will keep the public informed of any changes,” he said. Phuket airport handles about 300 flights and about 70,000 passengers daily. 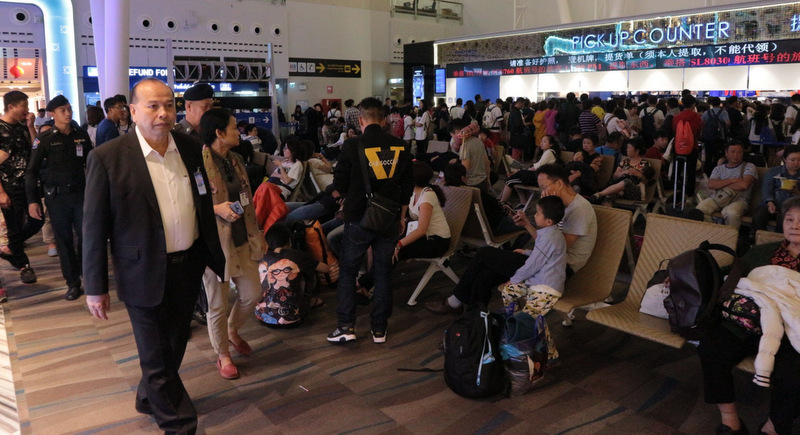 The flights affected comprise 38 outbound flights and 37 inbound flights. Pegas Fly chartered flight IK 2469 from Chelyabinsk in Russia, originally scheduled to land in Phuket early this morning, was diverted to land at Krabi International Airport, officials reported. 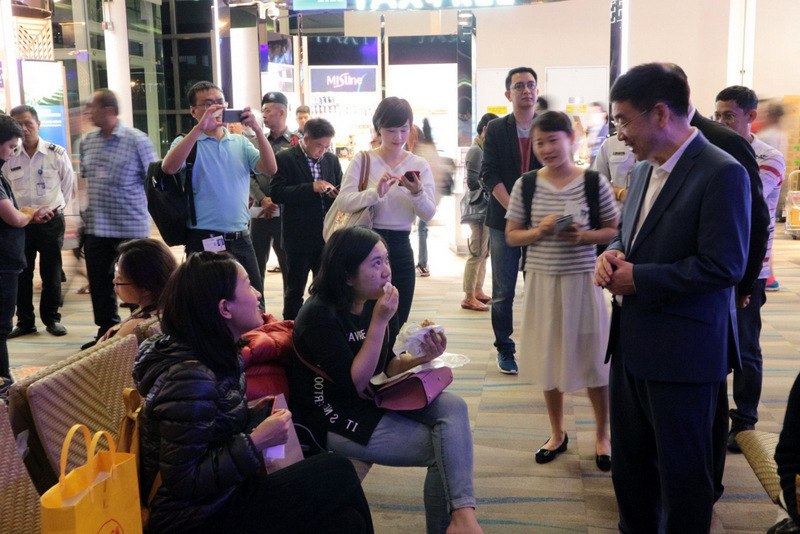 Present at the airport in the early hours of this morning to explain the situation to travellers whose flights had been postponed was Ma Cuihong, who as Vice Consul of the Chinese Consulate in Songkhla heads the Chinese Consular Office in Phuket. Joining Ms Ma was Santi Paiwai, who previously served as the Director of the Phuket office of the Department of Tourism under the Ministry of Tourism and Sports. Mr Santi now serves as the Deputy Director-General of the Department of Tourism nationwide. Santi Paiwai? The removed Phuket Santi?